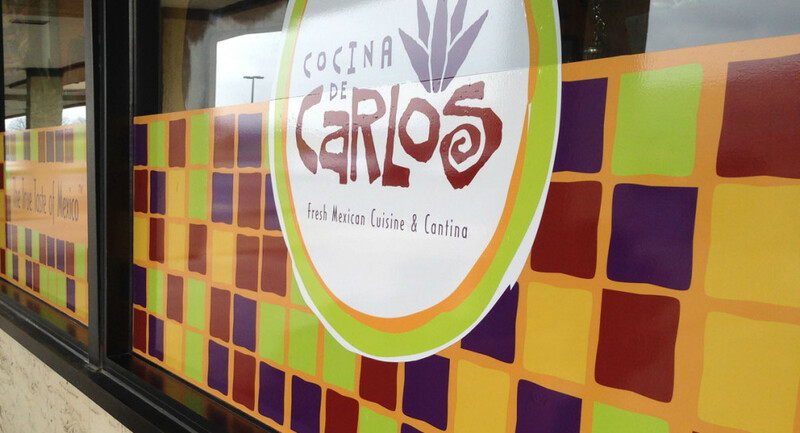 A Mexican restaurant and cantina located in Perrysburg Ohio recently asked us to create these front window displays. We were so excited to see these in place today – it really adds so much energy to the entrance! We have been working with Scott at Firehouse Sign Company for over 10 years now and would NEVER consider going anywhere else for our Artistic / Graphics / Decal needs. Being the owner of a professional racing team I have very specific needs when it comes to creative art, our projects require an immense amount of time, detail and creativity ... with Scott at Firehouse we get just that, a creative approach to our unique sponsorship needs and team branding - In our business, the race car / semi hauler / track side clothing and team logo's are everything, Scott at Firehouse is and has been entrusted with that important task since we started. I would never consider having anyone else handle that aspect of my team. Firehouse Sign Co is very professional, they go above and beyond in the customer service department ... Scott even personally oversees some of our bigger projects on site at the race shop which we really find classy. Obviously, I highly recommend Scott at Firehouse Signs for any of your artistic needs, you won't be sorry.